Dalston sits shoulder-to-shoulder with Haggerston and Stoke Newington, but the boundaries are always hotly contested. For this piece we’re defining it as most of the E8 postcode — with the western edge running roughly up Kingsland Road, bounded by Farleigh Road to the north, Albion Drive to the south, and the east border nudging up against London Fields. There are no shortage of coffee and pastry options in E8, and deli-bakery Café Route on Dalston Square is a safe bet for either of those. But it’s worth hitting one of Dalston’s Turkish restaurants at breakfast-time for gözleme: thin sheets of pastry, somewhere between a flatbread and a pancake and stuffed with spinach and cheese or potatoes. Somine on Kingsland High Street does a great value version; hot, portable and hard to match as a winter’s takeaway brunch. And if you have time to pull up a chair then the breakfast menu at Evin, a few doors along, features five kinds of menemen — a Turkish omelette with tomatoes, onions, peppers and, for the mornings with serious cobwebs to blow away, an optional and fierce dose of chilli. Wholesome pizza slices at Voodoo Ray's. Dalston has you covered for the eat-and-run lunch, from the risotto balls and lamb wraps at Arancini Brothers, to pizza by the enormous, New York-style slice at Voodoo Ray’s (open at lunchtime on weekends). Ever-changing European dishes can be found at Floyd's, where light and fresh seasonal ingredients make it an ideal lunch stop – although dinner and cocktails can be found here too says Londonist's Ruth Hargreaves. For a more lingering lunch, the blink-and-you'll-miss-it Merci Marie tucked away on Abbot Street does a roaring trade in French-ish soups, quiches, salads and cakes on weekday lunchtimes. It has all the intimacy of visiting a friend's house for a home-cooked meal, but with restaurant quality food. And Escudo de Cuba — on the corner of Stoke Newington High Street and Miller’s Terrace — runs a condensed menu of pulled beef or sweet potato, plantain and avocado wraps that keeps it constantly packed-out at lunchtime. In-house roasting at Allpress Espresso. Dalston's coffee scene is an ever-changing beast, with shops seemingly closing and popping up on an almost daily basis. Tin Café, tucked into a curve of Glebe Road, is ready to make your early morning commute slightly less brutal with coffee, pastries and sandwiches from 7 o’clock. A newer addition comes recommended by Londonist's Ruth Hargreaves: Brunswick East, serving up speciality coffee from an achingly cool La Marzocco machine inside the courtyard of Stamford Works building just north of Dalston Kingsland (they do a mean brunch too). Towards Dalston Junction you'll find some more of Ruth's recommendations, including Subtitles Cafe with its excellent coffee and art-house vibe. Head out east on Dalston Lane and you'll come across Allpress Espresso, serving in-house roasted coffee inside a beautifully airy former factory. 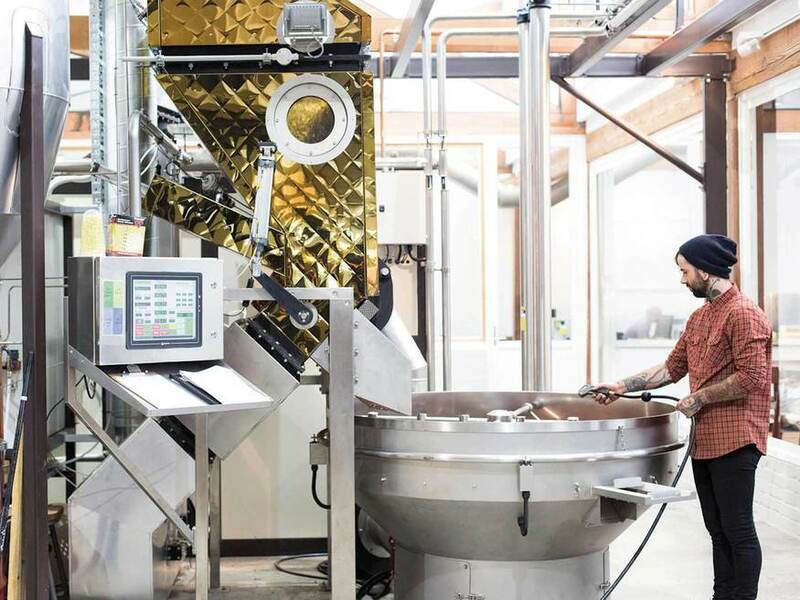 Coffee fanatics will especially love Allpress for the giant glass windows that allow you to gaze through and watch the roasting process take place as you sup your morning brew. Slightly less crowded is Coffee Is My Cup Of Tea further up Dalston Lane, which has the added bonus of being dog friendly. Speakeasy vibes at Ruby's underground bar. Dalston has these in spades, a lot of them doing burgers and British pub standards — Farr’s School of Dancing, The Shacklewell Arms and Dalston Superstore being prime examples. On the border of Haggerston, The Fox has a ridiculously good, constantly rotating line-up of craft beers, with bar snacks or burgers to soak them up, and the Three Compasses on Dalston Lane also serves decent burgers alongside good selection of beers. 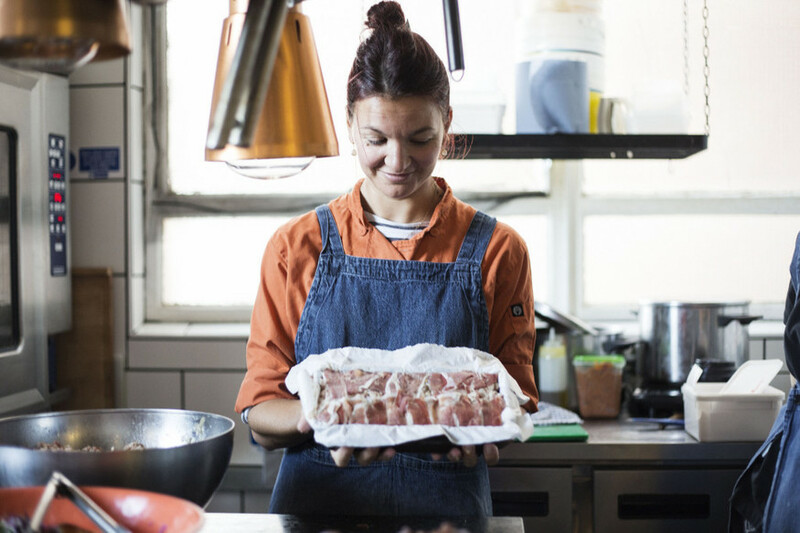 And, because the people of Dalston can’t get enough meat-in-a-bun, The Victoria has handed the reins of its kitchen over to Wild Dog Kitchen. If meat doesn't get your juices flowing, Londonist's Ruth Hargreaves thinks Pamela at 428 Kingsland Road might be just the ticket instead, thanks to its fully vegan pan-Asian menu, best enjoyed while slurping down a cocktail. On the cocktail front, the twisted classics and speakeasy-ish feel at Ruby’s has kept the underground bar packed out since it opened in 2012; with the opening of Ruby’s Lounge in the attached building they've now got space for late-night dancing and DJs too. 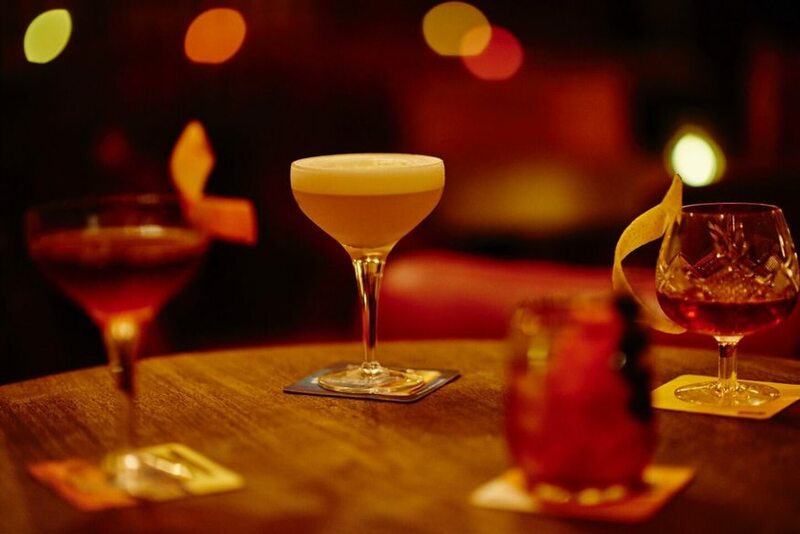 Equally intricate cocktails are on the cards at recently-reopened Silk Stockings (80 Dalston Lane) — low on actual silk, high on leather and tequila — and Servant Jazz Quarters does a very serious Old Fashioned and a host of other Mad Men-ish staples from the art deco bar above the basement music venue. We also recommend you pop to Ray's Bar, hidden underneath Voodoo Ray's pizza joint, for classic cocktails with your slice. And shop by day but wine bar by night, Furanxo on Dalston Lane combines handpicked Spanish wines with a spread of cheeses and cured meats sourced from small-time Spanish producers. The slick interior at Rotorino. E8 has more Turkish restaurants than you can shake a mangal skewer at, but two are head and shoulders above the rest: Mangal 1, on Arcola Street, and Mangal 2 on Stoke Newington Road. Rivals more than relations, locals can argue for hours about which is the best before deciding it’s too close to call. Another Turkish contender is Stone Cave restaurant on Kingsland High Street, thanks to its generously portioned and home-cooked dishes, exemplary service and buzzing atmosphere. For Mediterranean of a different stripe, Rotorino serves up reliably brilliant Southern Italian at 434 Kingsland Road, a few doors down from the Asian-meets-Americana of Chick n’ Sours’s fried chicken. Bar-restaurant Brilliant Corners does Japanese for people who like their sushi with a side of heavy beats, and Untitled Bar brings great cocktails and an exciting Japanese tasting menu courtesy of Michelin-starred chef Rob Roy Cameron to the party. 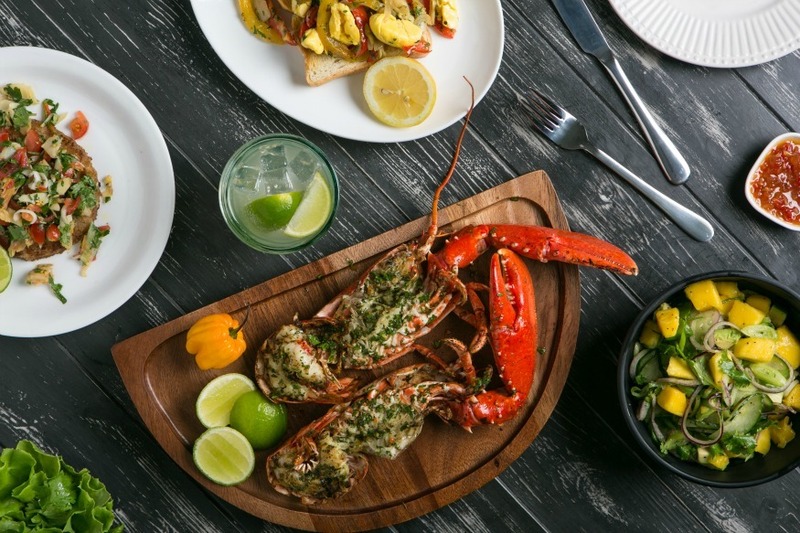 With a less pounding soundtrack and a blast of jerk heat, Rudie’s, on the corner of Arcola Street, serves up Jamaican everything and maybe the best rum cocktails in town. Setting up a new residency at Birthdays is Taiwanese fusion street food courtesy of Tiger Bites — think bao buns loaded with vegan fried chicken and peanut butter with jelly. Just minutes from Tiger Bites is Ridley Road Market Bar, where the Slice Girls pop-up outside sells woodfired pizza every evening. 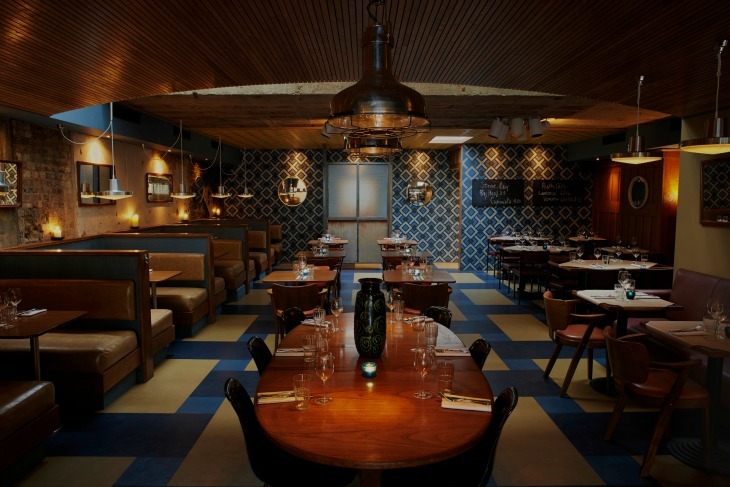 Dalston’s better at on-trend than high-end, but there are a few places that dabble with formality. Merci Marie focuses mainly on lunchtime trade but they run Sweet Fridays from time to time, allowing hungry punters the chance to kick off the weekend with three courses of French-inspired fare. Plus you're greeted with a glass of bubbles on arrival and French wine with the meal. It's not formal by any means but it is marvellously intimate and feels more like a supper club than a full-blown restaurant. And although it’s not the starchiest of places, something about the high-design and minimalist lines at yakitori restaurant Jidori feels so demure that it easily earns a place on the take-your-visiting-parents list. The small hours is where Dalston really has the edge over neighbouring parts of Hackney, with late-night drinking and post-midnight mangal grills — plus plenty of gig venues hosting live music from dusk til, and often beyond, dawn. On the music front, hit The Nest for electrohouse nights with 4am finishes. Vortex Jazz Club on Gillett Square does cocktails, cabaret seating and some of the most experimental jazz programming in town, and The Alibi (91 Kingsland High Street) runs a packed programme of film screenings, quizzes, karaoke and DJ sets til at least 2am every night. And when you stumble out of any of those places in the depths of night, Somine’s waiting to welcome you in with lamb stews and grainy Turkish coffee (open until 5am on Friday and Saturday nights). Or you can always chance your arm on the mysterious opening hours of Ararat Bread (132 Ridley Road) and if you strike it lucky, be eating one of their incredible cheese naans by the time the sky starts lightening above you.